One of my favorite stories I like to tell about my husband and I when we were dating is the time I heard him say..."Man, I would like to get into tennis again". So, like any newly dating idiot would do I ran down to my local tennis spot and took six weeks of lessons. Six Weeks. In January. Because for our first Valentine's Day, by golly I had the perfect gift...a new racket, some balls and me, Maria Sharapova, Jr.! Racket was the operative word. Our first tennis outing was over as quickly as it started. I am sure divorces happen on many a tennis court. It ended up with me crying and at some point I remember Steve saying HOW MUCH DID YOU PAY FOR THESE LESSONS, GO GET YOUR MONEY BACK! Now, it's a pretty funny story to tell, but onwards! I am gonna go golfing on Women's Golf Day at Hammock Beach Resort! This should be so much fun with my girlfriends. Even though my golf experience ranges from putting together golf tournaments to sitting in the cart drinking bloodys while reading you articles out of Mademoiselle...this time I am gonna play and succeed and prosper! Women's Golf Day is a one day international event that encourages women to engage in the sport of golf. Whether it's their first time or they are a pro, this event is meant to bring women together in a fun, non-intimidating environment. Participants of all ages and skill levels are welcome. Join Hammock Beach June 6th for a four-hour Women’s Golf Day experience. Begin with a lesson with our pros and end with a complimentary cocktail reception at our Conservatory Clubhouse. Everyone is invited, from beginner golfer, to those playing for fun! 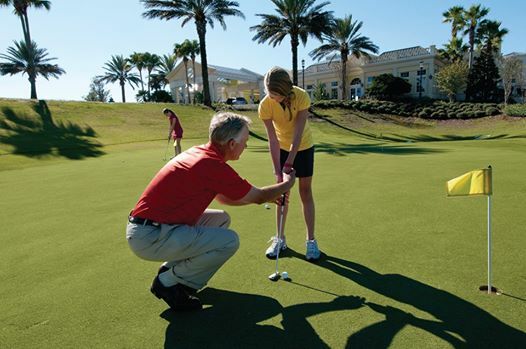 *4-6pm Meet at the Conservatory – Golf pros will lead attendees in a lesson. *6-7pm Put your skills to the test with a 3-hole round on the course. *7-8pm Cocktail reception on the Clubhouse Terrace with light refreshments and hors d’oeuvres. Price is $15 for Day guests and complimentary for Members & Overnight resort guests. Clubs will be provided, and attire is golf casual. Reservations are required by Friday, June 2nd. Please call the Conservatory Clubhouse to make your reservation at 386.246.6710.